Today, I can’t thank them enough for taking me there within just 5 days of its official opening. I just cannot rave enough about how SPECTACULAR that place is in every possible way. Its a 500/100 in ALLLL ASPECTS ! To start with the decor is fantastic; very upscale industrial chic, food was out of this world, divine desserts, brilliant service and to top it all the washroom is a must visit. YES! at least the the female restroom is, unfortunately I don’t have a good picture of it. Don’t feel guilty if you feel like ordering every single item on the menu, you are perfectly normal ! Our server( I wish I remembered his name) was extremely charming and suggested some great dishes which we thoroughly enjoyed. Hell Fire Roll – Spicy Tuna two-ways, Pear, Balsamic. I have a biased opinion towards sushi, I love them all. Go try it for yourself. 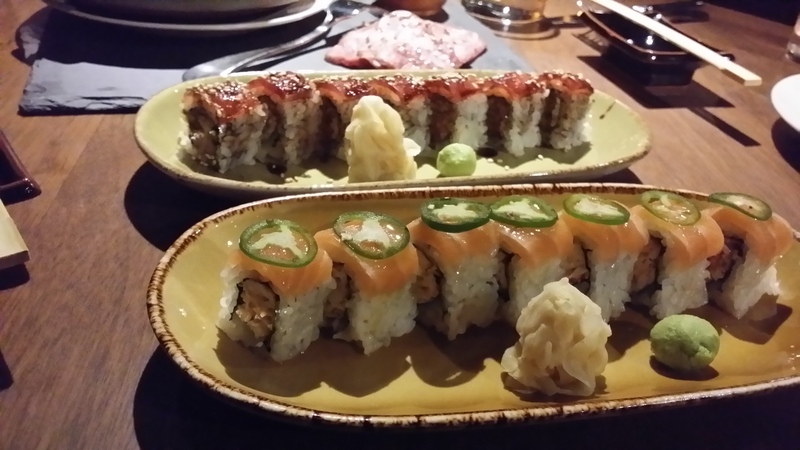 Catch Roll – consists of crab, salmon, miso-honey, this one was quite different. Wagyu on the rock (featured image) – Quite a fun exercise of cooking your own wagyu on the hot rock that comes along, but scores low on convenience factor and can’t be passed around on the table. I could give this a miss the next time. 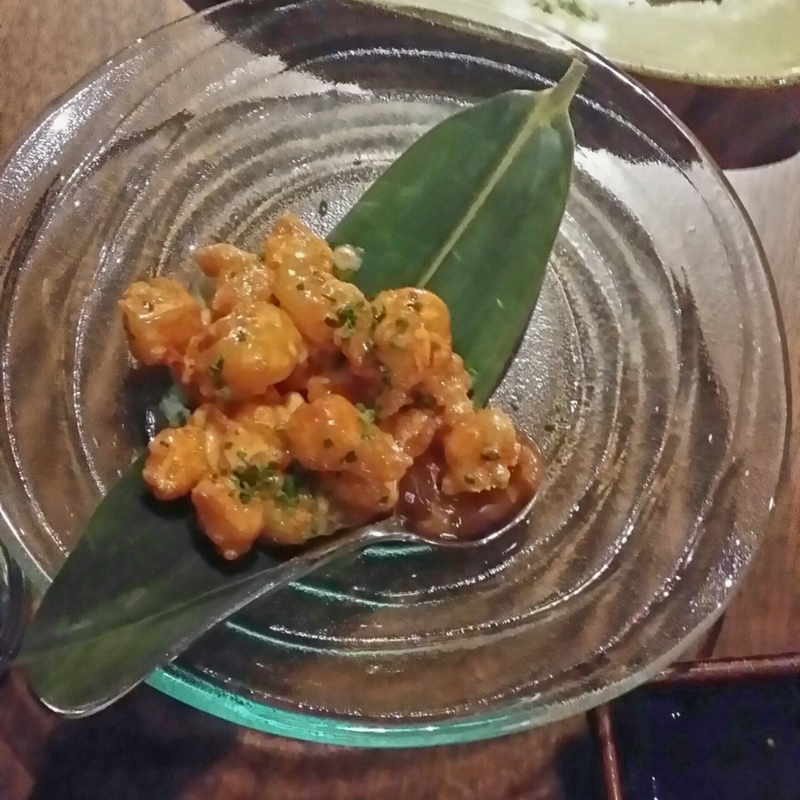 Crispy fried shrimp – A lot like Dynamite Shrimp. Some days I feel I should just go and eat half a dozen bowls of just this. 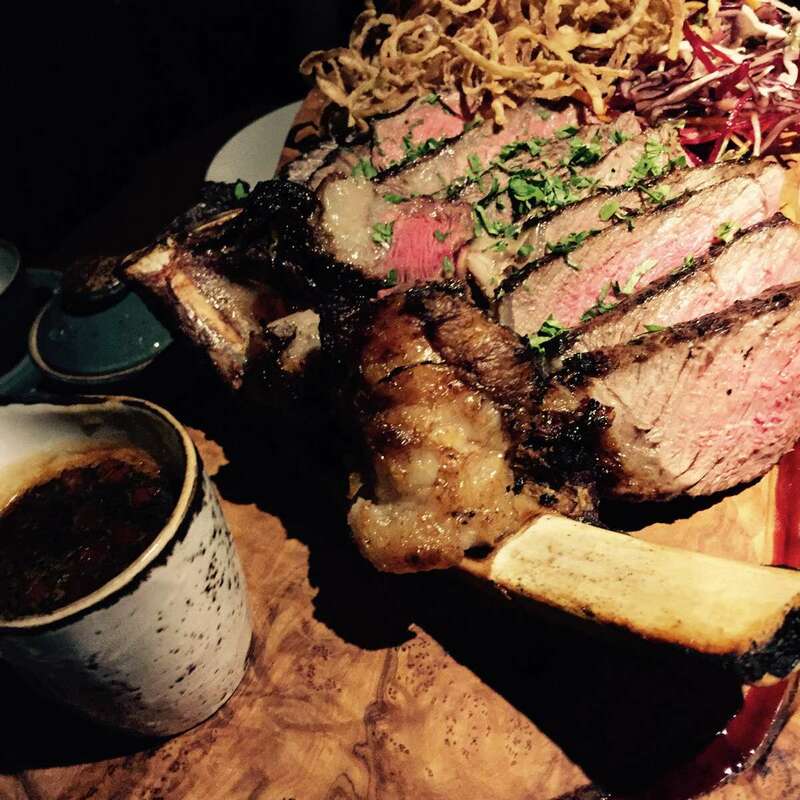 Wagyu Tenderloin – One word… DELICIOUS !! Perfectly cooked wagyu, super juicy and flavorful. The veggies accompanying were packed with flavor and gave the whole dish an excellent balance. I went for the tamarind brown butter sauce. 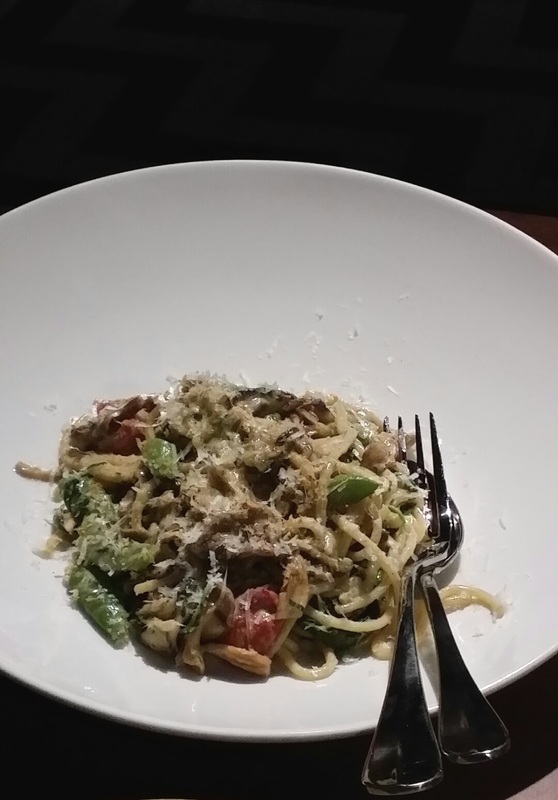 Mushroom Spaghetti – Quite an underrated dish but trust me you’ll thank yourself later for ordering it. Loaded with truffle and parmesan..Mmmmm..
P.S. The Lobster roll I hear is amazing, although I didn’t try it on this visit. But you must and let me know how it was.